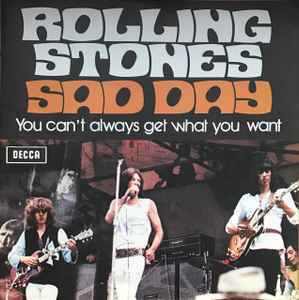 The Rolling Stones Song of the Day is Sad Day. Sad Day was the b-side to The Rolling Stones hit single “19th Nervous Breakdown.” The song was written by Mick Jagger and Keith Richards. Another Stones song about girl trouble. His girl breaks up with him and the next day he phones her to find out what happened and she’s not there. Recorded in the Aftermath album period but not included on that album. One of the least known songs by The Rolling Stones- probably because it was just a b-side but it fits in well with those Aftermath songs. I didn’t know this song, Hans, but I do now. Thanks, it’s only rock and roll but I like it! One of their obscure numbers!